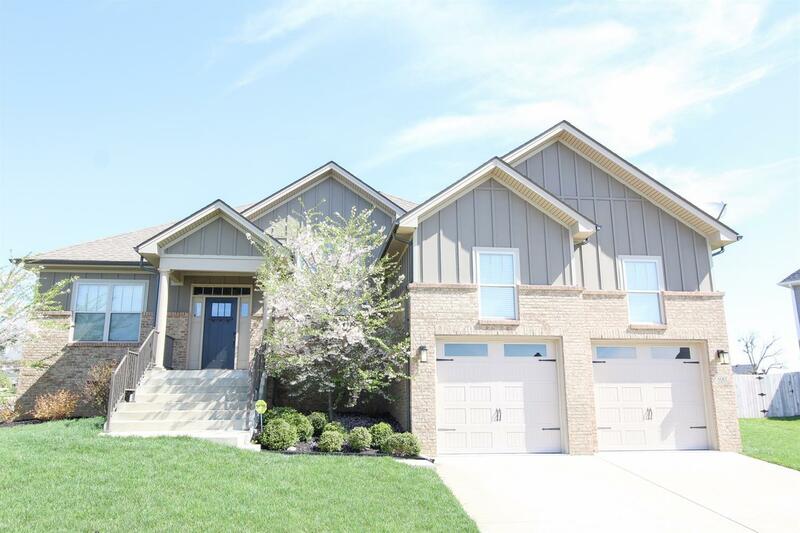 Beautifully crafted 1 1/2 Story home with 3 bedrooms including master on first floor and large bonus room upstairs. Gorgeous Brazilian Cherry hardwoods. Kitchen is open to family room with large island, beautiful cabinetry, granite countertops, tiled back splash and breakfast nook. Dining room is a jaw dropper with tall ceilings & big gorgeous windows. Master Bedroom and Master bath do not disappoint with soaking tub and walk in shower. Bonus room may be used as 4th bedroom or for people who want a basement, this room is a fabulous alternative. Covered patio and fenced yard. This home offers so many upgrades and details, you will not want to let it pass by. Come see today!